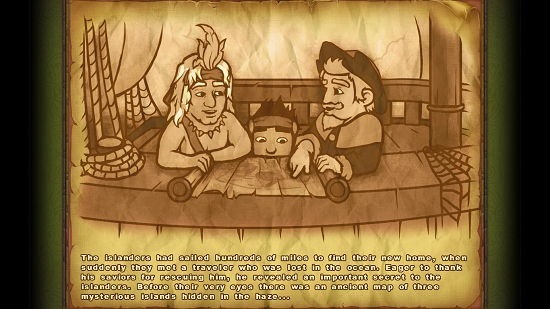 Island Tribe 3 is a free Adventure game app for Windows 8 and 8.1. When you launch the game, you will be asked to enter your name with which your player profile will be created. The game has a lot of levels that you can choose to play from, and also allows you to easily do the same by means of providing with very simple and intuitive controls. The game makes for a great download on both touch and non-touch devices, and the graphics and the background score of the game will keep you engrossed and entertained at all times. 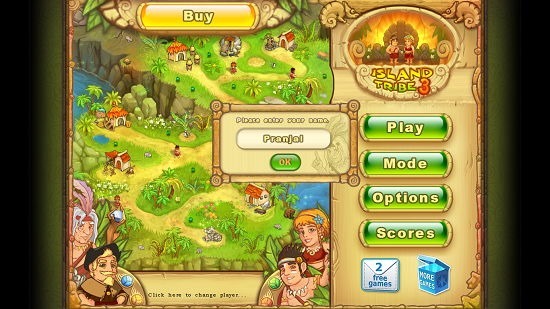 Island Tribe 3 is available for free from the Windows App Store. 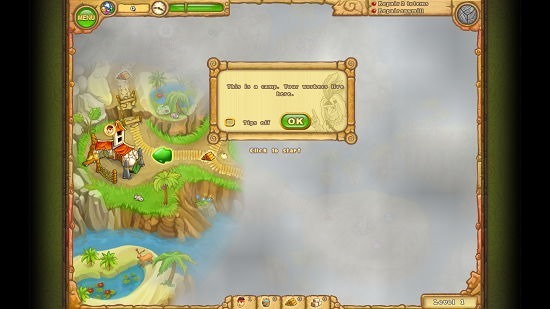 The main screen: When you launch the game, you will be asked to enter your name. The game uses this name that you enter for creating a profile with your name and with this you can start playing the game. The below screenshot represents this in a better manner. Upon entering your name, you can click on the OK button and then click on the Play button in the main menu to start the game. First, you will be shown a brief introduction video to the game. The video doesn’t play for a long time and you will enjoy watching it. Once it’s over, you will be taken to the gameplay interface. The Gameplay interface: When the gameplay interface is presented in front of you for the first time, you will be shown a brief tutorial prompt which will ask you if you want some help with the game. Once you click Yes, it will show you tips marked with green arrow pointers as can be seen below. Once the tutorial is over, you will be taken to the gameplay screen. 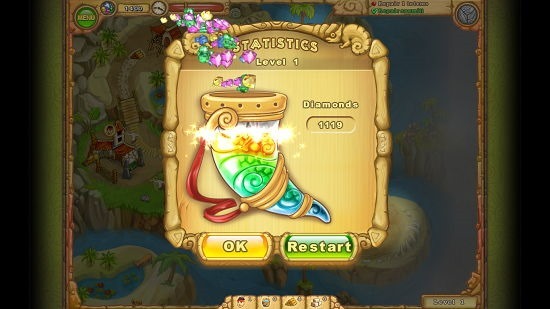 At the end of the level, you will be shown your score in a statistics window. 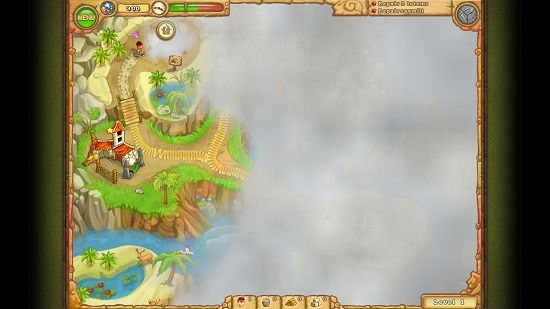 This winds up the main features of Island Tribe 3 for Windows 8 and 8.1. Island Tribe 3 is a very well-designed game app indeed for Windows 8 and 8.1. The game has incredibly polished graphics and works buttery smooth even on low-end devices. The game’s background score and the plot is engaging enough to keep you glued to your screen for a long time! I highly recommend it with a rating of 4.5 out of 5!